See in-game for more details! 5 Limited VIP Boards for Supernova - KH III Marluxia, SN - KH III Master Xehanort and Supernova - Key Art #20 are now available. * All Limited VIP Coins currently being distributed will expire on Apr. 30, 2019 11:59 p.m. (PT) / May 1, 2019 6:59 (UTC). ★ Draw once per day for free! 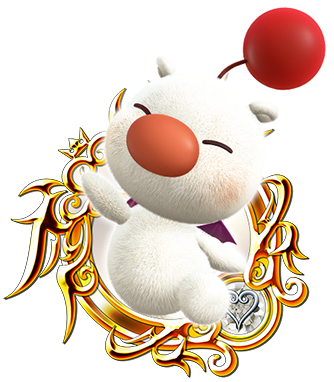 Collect KH III Moogle Medals to win Jewels! With this special deal, you will be able to draw one Medal per day for free! Each free draw gets you a chance to obtain a KH III Moogle Medal! Additionally, if you draw from the deal each day, you are guaranteed to receive at least one KH III Moogle Medal within 5 days! * Please note that the counter will reset if you draw a KH III Moogle Medal before the 5th day. At the end of the campaign period, every KH III Moogle Medal that you possess will count as one entry for the MILLION JEWEL SWEEPSTAKES! As such, please do not sell or combine any KH III Moogle Medals you draw before the above campaign period ends! If you do, you will not be entered in the MILLION JEWEL SWEEPSTAKES! * Click here (US), here (FR), or here (DE) to view the official rules of the MILLION JEWEL SWEEPSTAKES. Be sure to draw from the deal every day because the more KH III Moogle Medals you get, the better your chances of winning! * Please note that winners will be eligible for one prize each, excluding the participation reward. Additionally, the 1,000 Jewels participation reward is a fixed amount and will remain the same regardless of the number of participants. * The winners of the MILLION JEWEL SWEEPSTAKES will be selected around mid-May. Once the winners are selected, we will announce them accordingly through a notice. * The delivery date of the prizes will be announced at a later time. * All prizes will be sent to your Present Boxes. The KH III Moogle Medal can also be used as a Boost Medal! Combine this Medal to increase your Medal’s STR and DEF by 1000! 3rd Anniversary: Popular Boards Return Pt.1! By popular demand, Terra and Aqua avatar boards returns with a special price! 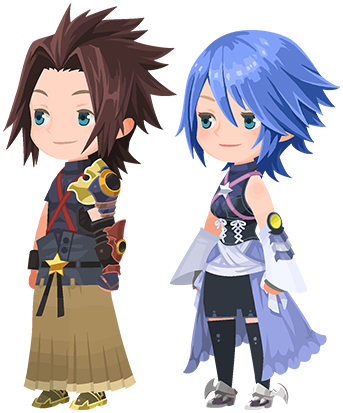 * Please note that the 'Aqua' title is not obtainable from this avatar board. 3rd Anniversary: The Dark-Winged Warrior Returns! ★ Celebrate the 3rd Anniversary! The Dark-Winged Warrior returns by popular demand! * Please note that all rewards that were previously obtained cannot be obtained again. Earn a total of 500 Event Coins from the Quiz Event! ★ Celebrate the 3rd Anniversary by completing quests to get Event Coins! 3rd Anniversary: Hades Cup Returns! By popular demand, Hades Cup makes its return! ★ Defeat Titan to get Event Coins, Gem, and a special title! Also got 7 stars SN KHIII Master Xehanort on the freebie draw. Shall we just roll the end credits now & spare the final boss the beating?